“The words from St. Paul’s Letter to the Galatians that we heard, make us sit up and listen. The time is right, Paul says. God is serious now. What God has always told the people through the prophets He now shows us with a striking example. God explains us that He is a good father. And how does He do so? By the fact that He made His Son man. Through this concrete human being Jesus we can understand what God really means. He wants human beings, who are free but know themselves always to be secure as children of a good father. After the Vespers, four altar servers asked questions to Pope Francis. The first question was about how young people could play a bigger part in the life of the Church, as suggested by the Holy Father in Evangelii Gaudium, and also what the Church expects from altar servers? The second server asked for advice in how to respond to friends who do not understand why anyone would want to be an altar server at the expense of other passtimes. Question three dealt with freedom, and how to experience, understand it in a life which has so many rules. I thank you for this encounter on the occasion of your pilgrimage to Rome and I want to give you some food for thought related to the questions that your representatives have asked me. You have asked me what you can do to contribute more in the Church and what the Christian community expects from you as altar servers. Let’s first remember that the world needs people who attest to others that God loves us and that He is our father. Everyone in society has the obligation to serve the common good by contributing to what is essential: food, clothing, medical care, education, information, the legal system, and so on. As disciples of the Lord we have an additional task, namely to be the “channels”, the lines which pass the love of Jesus on to others. And in this duty you, youth and young adults, have a special role: You are called to tell your contemporaries about Jesus – not just in the parishes or organisations, but especially outside them. That is a task which has been especially entrusted to you, because with your courage, your enthusiasm, your spontaneity and your sociability it is easier to reach the thoughts and hearts of those who have drifted away from the Lord. Many people of your age have an enormous desire for someone who tells them, with their lives, that Jesus knows us, loves us, forgives us, shares our problems and supports us with His mercy. But in order to speak with others about Jesus, we must known and love Him, experience Him in prayer and in His Word. You have the advantage in that respect, because of your service in the liturgy, which allows you to be near to Jesus, the Word and the Bread of Life. Let me give you some advice: The Gospel reading you hear in the liturgy, read it again for yourselves, in silence, and apply it to your lives. And with the love of Christ, which you have received in Holy Communion, you will be able to put it into practice. The Lord calls each of you today to work in His field. He calls you to be happy players in His Church, willing to share with your friends what He has shared with your, especially His mercy. I understand your problems of combining your service at the altar with your other activities, which are necessary for your human development and cultural formation. So you must organise a bit, plan things in a balanced way… but you are German, so that should be easy! Our life consists of time, and that time is a gift from God, so it must be used for good and fruitful things. Perhaps many young people waste too many hours with useless things: chatting on the Internet or on your mobile phone, but also with television programs. The products of technological progress, which should simplify life or increase its quality, are sometimes distractions from what is really important. Among the many things which are part of our daily routine, those that remind us of our Creator, who gives us life, who loves us and accompanies us on our journey through life, should have priority. Because God has created us in His image we have also received from Him this great gift of freedom. But when we don’t use this freedom properly it can move us away from God, can let us lose that dignity which He has given us. That is why guidance, rules and regulations are necessary – both in society and also in the Church – to help us do the will of God and to live in this way according to our dignity as human beings and children of God. When freedom is not influenced by the Gospel it can turn into slavery, the slavery of sin. Adam and Eve, our first parents, moved away from the will of God and so fell into sin, and also into a bad use of freedom. Dear young friends, do not use your freedom wrongly! Do not waste your great dignity as children of God, which has been given to you. When you follow Jesus and His Gospel, your freedom will bloom like a flower and bear good and rich fruits. You will find true joy, since God wants us to be completely happy and fulfilled. Only when we immerse ourselves in the will of God, we can do what is good and be both the light of the world and the salt of the earth! Words from Bishop Antoon Hurkmans, second successor of Bishop Johannes Willem Maria Bluyssen, who died peacefully in his sleep on Thursday morning, as his heart surrendered after a life of 87 years in the service of the Church. 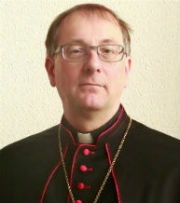 Bishop Jan Bluyssen hailed from Nijmegen and was ordained in 1950 by Bishop Willem Mutsaerts, and served as a parochial vicar in Veghel before studying spirituality in Rome. Returning to the Diocese of ‘s Hertogenbosch, he taught at the diocesan seminary in Haaren and also became spiritual director there. On 28 October 1961, Blessed Pope John XXIII appointed him as auxiliary bishop of the diocese, serving with Bishop Willem Bekkers, the ordinary. Bishop Bluyssen was made the first and to date only titular bishop of the see of Aëtus in modern Greece. After the unexpected death of Bishop Bekkers, Bishop Bluyssen was appointed to succeed him in October of 1966. The photo above shows the bishop shortly after his appointment, returning from a post-conciliar meeting in Rome. Bishop Bluyssen served until he offered his resignation for health reasons in 1983. This was granted on 1 March 1984. 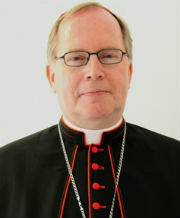 Bishop Jan Bluyssen was the last surviving Dutch Council Father. Towards the end of the Second Vatican Council, he attended several sessions and was involved in several post-conciliar meetings on the liturgy. Bishop Bluyssen was the last bishop to be consecrated in the pre-conciliar rites. It is then perhaps paradoxical that he is considered a member of the more progressive wing of the Dutch bishops in the 1960s and 70s, who did most to change the liturgy and the Church in the Netherlands as a whole. As a bishop, Bluyssen was continuously affected by health problems surround his heart, which ultimately led to his early retirement in 1984. 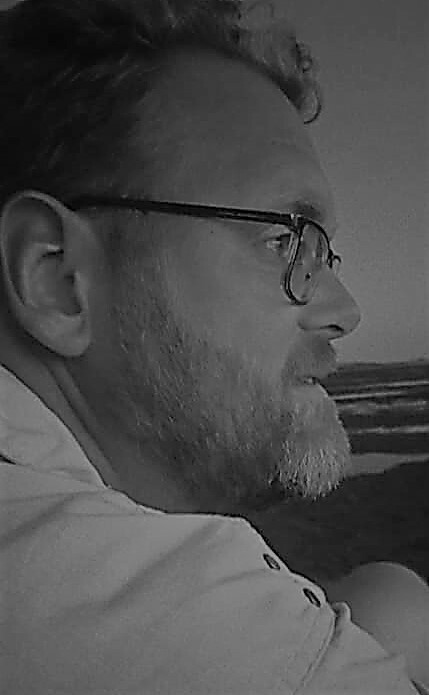 Following his retirement, Bishop Bluyssen devoted himself to writing, of which his memoirs, Gebroken Wit (Broke White), published in 1995, are most notable. The years of Bishop Bluyssen’s episcopate were turbulent ones in the entire Dutch Church. The Second Vatican Council had started an unintended chain reaction in which everything was questioned, from the way parishes should function to how the liturgy should be celebrated, even to what the Church and faithful should teach and believe. Bishop Bluyssen was often allied with the more progressive movements, questioning much with them and trying to put the new thoughts into practice. In the seventeen years that he was ordinary, Bishop Bluyssen closed the seminary in Haaren and saw the number of active priests, as well as new seminarians, drop dramatically. Bishop Bluyssen made sure that things remained quiet in his diocese in the time surrounding the special Synod on the Dutch Church that Pope John Paul II convened in 1980. Partly in response to these developments was the appointment of his successor, Bishop Jan ter Schure, who was generally far more conservative and in line with Rome. 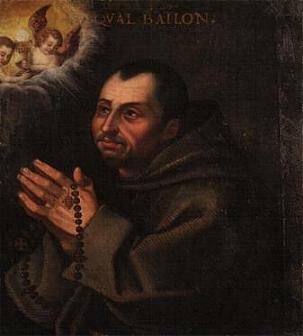 Bishop Bluyssen was deeply conscious of his own limitations and failings. This sense of reality, his esteem for people as carriers of the faith and his own modesty made him hugely popular, both during and after his time as ordinary of ‘s Hertogenbosch. The more formal and serious side of being a bishop, which Bishop Bluyssen described as “being bound to the Gospel, bound through loyalty to Christ, whose task I am called to perform … which comes to me via and through the Church”, was coupled with his being a positive and winsome conversationalist. With the death of Bishop Jans Bluyssen the Dutch Church has lost a good man, a true man, with good and bad sides, a man of faith and a man of the people. Despite his failing health, he remained a integral part of his erstwhile diocese, for far longer than the 17 years he served as its bishop. On Tuesday, the bishop will lie in state in the bishop’s house, where faithful may visit on Tuesday evening, and Wednesday afternoon and evening. A Vespers for the repose of Bishop Bluyssen will be offered on Wednesday evening at 7 at the cathedral basilica of St. John. His funeral will take place on Thursday from the same church, starting at 11. “Thank you for your presence this evening. Cardinal Ranjith will give his address on the first day, in the evening of 25 June, with only the celebration of Vespers and the introduction, both by Bishop Rey, preceding it. The Latin bit of the title of this address means “source and summit of the life and mission of the Church”: an apt description of the liturgy from which many other topics flow. It looks like Bishop Rey has a very clear purpose with this conference. I think it’s therefore apt to start a short series of profiles on some of the speakers with him. Hopefully I’ll be able to get it out sometime tomorrow morning. Lastly, for those wondering why I choose to pay such specific attention to this conference: firstly, I myself am interested in the liturgy, so this conference is quite up my alley, and secondly, I was asked to do so. I am quite happy to respond to such request, and grateful that my little blog has apparently been noticed enough to warrant such a request.